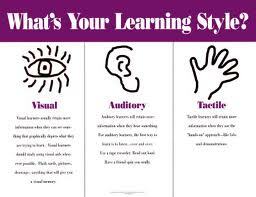 I’ve always been fascinated by learning styles. You know, the concept that all of us fall into one of three categories. We are either visual, auditory, or kinesthetic learners. I love this idea! It makes so much sense to me, and as a homeschooling mom and a teacher, I’ve always found it thrilling to find a way to tune into a particular child’s learning pathway. So this summer when I found out one of my grad school classes was on learning styles I was thrilled – I didn’t expect to have my whole way of thinking about learning called into question. One of my assignments is to write a paper debunking the concept of learning styles. I’m still working on it, but it turns out, there is plenty of evidence to suggest we’ve all bought into bogus idea. And when I look around at all the manipulatives, games, gadgets, and gizmos (many of which I bought when I was homeschooling) created and sold to cater to various learning styles, not to mention the various books, articles, and workshops being produced on the subject, I have to admit that learning styles has become its own multi-bazillion dollar cottage industry. In other words, there is a lot of money to be made by keeping the learning style myth alive. Lest I sound like a conspiracy theorist, I am not suggesting that someone has made up this whole concept just to make money. In fact, just as there is a lot of evidence debunking learning styles, there is also a lot to support the idea. For now, I’m still on the fence. Still, this is kind of huge because a few days ago, I didn’t even know there was a fence. I just took learning styles for granted. If I find out this is all a bunch of nonsense, I’m sure going to feel silly about mummifying that GI Joe when the kids studied Ancient Egypt – actually, I won’t. That was a ton of fun! To have your way of thinking about thinking challenged, start with the video link above. Well, G.I. Joe is a little worse for wear, but we have great photos. The G.I. Joe who was transformed into G.I. Joseph for our nativity scene last Christmas, has done much better.